Recently, I was interviewed by a Reuters reporter who asked if I thought the government should retain Singapore’s last remaining kampong in Buangkok. She was surprised when I said I was not in favour of keeping it just for the sake of nostalgia. If land-scarce Singapore had better use for the land, why keep it?. Anyway, she did not quote me in her article, choosing to quote my friend Victor instead, who apparently held a different view from me … best not to speculate on her reasons. A time for slide rules, and a time for PDAs. It’s called Progress, and progress is not something we should regret. Kampongs and ice balls belong to yesterday. They should only be resurrected in history books and nostalgia blogs like Good Morning Yesterday. Have a Blessed 2008 dear reader. Can you identify the building in this photo? Hint – It used to be a cinema; can you see the Shaw Brothers logo? In the old days, all SB theatres have this logo prominently place at the top. A few years ago, it was converted into an S11 food court; and now it is undergoing renovation. I heard that it had been bought over by one of the mega-churches. Like the 2 former cinemas in Queenstown that I blogged about earlier, it looks like this one will also be converted into a church. So perhaps we can again adapt the words of that song I mentioned in my previous post. Where have all the cinemas gone? Gone to churches and food courts everyone. Where have all the (public) swimming pools gone? 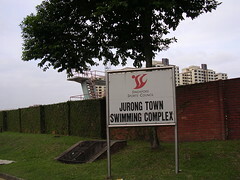 I wonder how many of my readers know that next to the Jurong Stadium that I blogged about recently, is a public swimming pool called Jurong Town Swimming Complex. This pool holds special memories for me. Before my wife and I got married, we used to come to this pool after work to swim. At that time, she was teaching the afternoon session at the nearby Jurong Secondary School. As you can see from the photos, this pool has closed down. In recent years, many of the older public swimming pools that my generation used to go to when we were young have suffered the same fate. 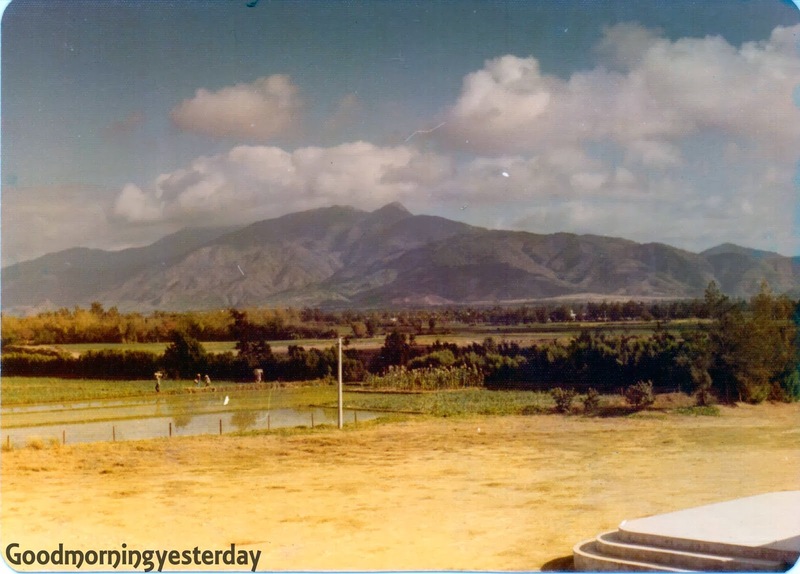 Two examples that bloggers have reminisced about are the Yan Kit and the River Valley pools. Nowadays, the only public pools that survive in Singapore are found in the densely-populated HDB heartlands like Ang Mo Kio and Toa Payoh. So where have all the public swimming pools gone? Answer – Gone to the 2C’s everyone; namely the Condos and Country Clubs. Over the past couple of decades, because of Singaporeans’ fondness of the 5C’s – Cash, Car, Credit Card, Condo and Country Clubs, many new swimming pools have popped up all over the island in the new condominiums and country clubs. In fact, many schools nowadays have their own pools. In my school days, this was quite unheard of. I remember, in 1968, when I was in Secondary 4 in ACS, we had to help sell fun fair tickets to raise money to build what must be one of the first schools’ swimming pools in Singapore. 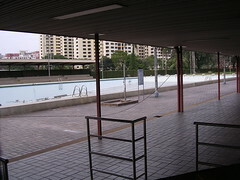 When we were young, the only pools that we can go to were public pools like Yan Kit, River Valley and Farrer Park. My own favourite was the Farrer Park. Besides these three, there were probably a few more; but offhand I cannot recall the names. As for country clubs, the most famous one in the sixties was probably the Chinese Swimming Club in the Katong area. I have only been there once. It was unique for its salt water. 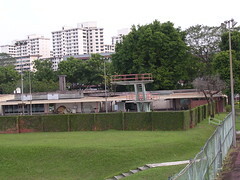 I guess, in a couple of years, after the bulldozers move in, few people will even know that once upon a time, there was a swimming pool in this quiet corner in the western part of Singapore. Who knows? The only place that Singaporeans of the future can learn about the Jurong Swimming Complex may well be Good Morning Yesterday. I guess the younger readers may be a bit puzzled by my language; I mean the question and answer bit. Actually, I am adapting the words of a famous song, Where Have All the Flowers Gone? 1. Take 2 sticks and stick in on the ground about 8 - 10 inches apart. 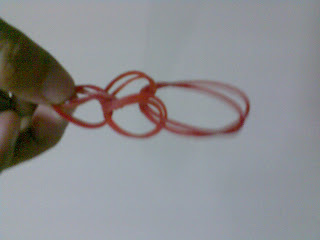 The rubber band of yesteryears can be stretch that long. 2. 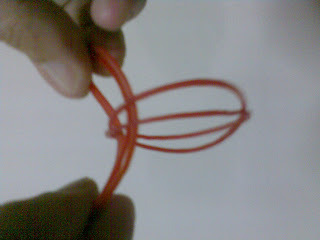 A rubber band is then stretch to both ends. 3. We put our own rubber bands on top of that stretch rubber band as out stakes. 4. At a distance of about 10 - 12 feet, we try to shoot the rubber bands down with our specially made shooter. 5. The rubber bands shot down is our winnings. 6. However, if our shooter some how got entangled with the stick or rubber band, then it is 'disqualified' and cannot claim any rubber band. Here are 2 photos to show you what our Rubber Shooter looked like (top) and how we used it (bottom). The photo below was taken at my OCS Passing Out Parade on the 30th of April, 1977. 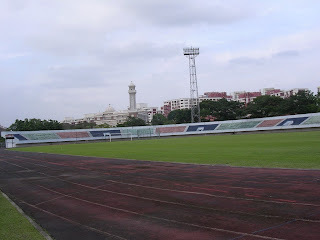 Surprisingly, the venue was not Safti (the present Pasir Laba Camp) but at one of the sports stadiums. Can you identify which stadium this was? The other day, I went down to take some photos of this place. It was quite run down and looked deserted. I told the care taker that I wanted to take some photos before the government tears it down. He thought I was an ex-footballer. He told me not so soon, at least another few years. (16 Dec 2007) - Chuck is right. 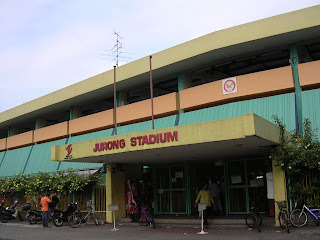 It is the Jurong Stadium. Here is what it looks like today. Can you see the new mosque in the background? That place used to be an army camp called Taman Jurong Camp - not sure if it's 4 SIR. Two camps actually, separated by Corporation Drive. I had a friend who used to be a recruit there in the early 70's. He told me that when they did their 5BX early in the morning, the flat dwellers nearby got angry with their shouts and singing (remember how they always made us sing nonsensical army songs when we did our 5BX exercise) and threw pebbles at them. The area is now very quiet. The big car park in front is used by learner drivers to practice parking; not just passenger cars but lorries as well. I saw a group of men queuing in front of the stadium and thought there was a foot ball match. Actually they were buying lottery tickets (either 4D or Toto). 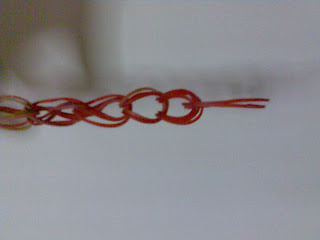 The toy that I am referring to is the home-made skipping rope which we made from rubber bands. Unfortunately, I cannot remember exact how to make it. But fret not … I have a ‘kampong games consultant’, whose name by now regular readers should know … Chuck; the inventor of the deadly Scot327 fully non-automatic assault rifle. 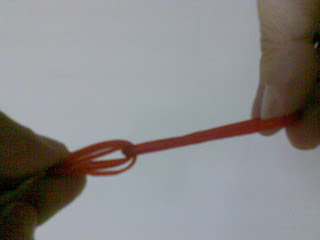 Here’s how you make the rubber band skipping rope. I hope you can figure out from the pictures below. Frankly, I am not sure. As far as I can remember, there were 3 methods of using the skipping rope. Method 1 is the normal single person skipping. Method 2 requires 3 players. Two persons will hold the 2 ends of the rope and swing whilst the ‘skipper’ will jump over the rope. Method 3 requires two persons. 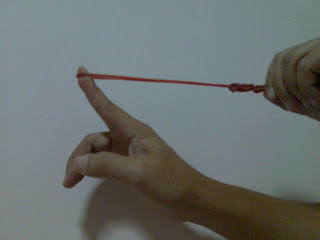 One person holds both ends of the rope in one hand and swings it in circular motions (like a lasso) close/parallel to the ground and the ‘skipper’ skips over it. There you have it. A cheap and easy-to-make skipping rope to give you hours of fun and exercise. Have you seen the latest TV advertisement from Nikon? They adopted a technique that has been used ’through the years’; namely to simply play a nice song without saying anything about their product. The song of course is Kenny Rogers’ THROUGH THE YEARS. Another one is The New Seekers’ I’d LIKE TO TEACH THE WORLD TO SING used by Coca Cola. This advert used to come up during the Christmas season. It showed a group of young people from different countries holding lighted candles and singing the song. As the camera zooms out, you see the picture of a Christmas tree formed by the candles. In this case, they modified the song a little to include, among other things, Coke’s famous tag line, It’s the Real Thing. You can see this ad here. But my favourite is still Paul Anka’s TIMES OF YOUR LIFE for Kodak. Not only are the lyrics so meaningful; Paul Anka’s soulful voice adds a certain melancholy to the mood. I remember seeing this ad at the old Cathay Cinema. The snippet showed Paul Anka singing the song in a recording studio with headphones and all. The year was probably around 1975. You can listen to it here. Some years ago, Kodak did a brief re-make of this advertisement; but the song was sung by someone else. I felt that it was a complete flop. Viewers who knew the song would automatically compare this version with Paul Anka’s and the obvious result would be disappointment. I think what Kodak should have done and should do is to show the original advertisement scratches and all. The age of the images, the old seventies fashion and even the scratchy sounds would themselves provide the nostalgia and remind the viewer about the brand name, Kodak. In fact, I actually made a suggestion to Kodak to do just that. On their website, they have a feedback/suggestions section where they will reward you if your ideas are adopted. My suggestion however, was not adopted. I suspect there were some copyright issues involved. Too bad. Young viewers of today will not able to see for themselves what I try to describe here in words. Whenever I hear Times of Your Life, I am reminded of my time doing army training in Taiwan on what was called Exercise Starlight. It was the culmination of our nine months of Officer Cadet Training. One day, my friends and I were moving along a dried river bed near our camp in Heng Chun. It was summer time and the river was quite dry. By the way, we were not supposed to do that. It was cheating and if caught would have certainly earned us some punishment. Anyway, as we passed a village, I heard this song coming from one of the houses and it made me terribly homesick. Here’s another 'Ad song' I stumbled on while surfing around on YouTube - Kodak’s 1960’s advertisement using the song; Turn Around. Do you have a favourite song like the ones I mentioned above? Please do share with us. Anyone remember The Music Box Dancer? The Tabitha Wang article I mentioned in my previous post was actually about reminiscing about the music of the eighties. Reading the article reminds me of a couple of tunes by a Canadian pianist by the name of Frank Mills which was also from the early 80’s. At that time, Frank Mills’ Music Box Dancer was a big hit in the Singapore pop charts. I believe not till Richard Clayderman came along had piano tunes been so popular as pop hits. For the younger ones who do not know Frank Mills and are curious to know what the song sounds like, here's the link that I found on YouTube. But, my favourite tune from that album by Frank Mills was not Music Box Dancer but a rather solemn tune called The Poet and I. I was trying hard to remember what the tune was like and searched for it on YouTube. Unfortunately, I could not find a piano version but only able to find this a guitar rendition by a Korean gentleman. You can listen to it here. Hope you like it. I think even the present generation will like Frank Mills’ music because this genre of music is quite timeless. 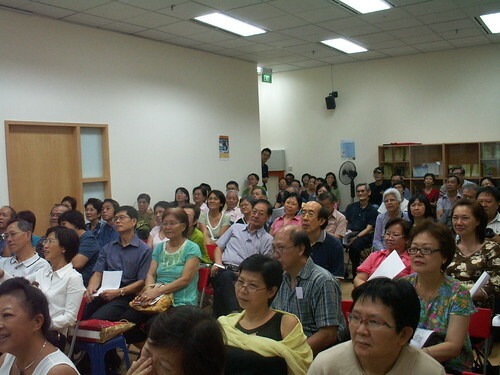 Last Saturday, I gave a talk to a group of about 40 seniors at the Silver Infocomm Day at RSVP at Bishan Central. This event was jointly organized by RSVP, the Retired and Senior Volunteer Programme and IDA as part of the Active Ageing Festival. Entitled, "Blogging today on yesterday.sg", my talk lasted about 40 minutes. The main aim was to encourage the seniors to take up blogging as a hobby. I shared with them my own experience and thrill in blogging about stuff of yesteryears. I also argued that blogging is good for their health because blogging involved much mental exercise which health experts claim can stave off age-related diseases like Alzeheimer’s disease. Yesterday I found another two reasons why seniors should blog; but alas the talk was over already. According to researchers from Loyola University, reminiscing about the good times can make people more cheerful. Pleasant memories, it seems, are a good antidote for the blues. I read this in an article by Tabitha Wang, the ‘Budget tai tai’ of TODAY. “Reminiscing can motivate you. It can give you a sense of being rooted, of meaning and purpose – instead of being blown around by the whims of everyday life”, she quoted Loyola psychologist Fred Bryant. Reason No. 2: Writing stuff about the good old days can even earn you some cash. 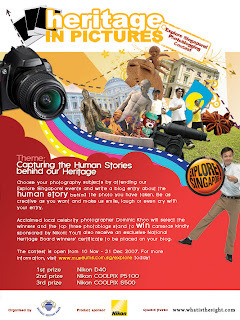 I received $400 in the mail yesterday from taking part in the Singapore Heritagefest 2007 MyStory Portal Competition. 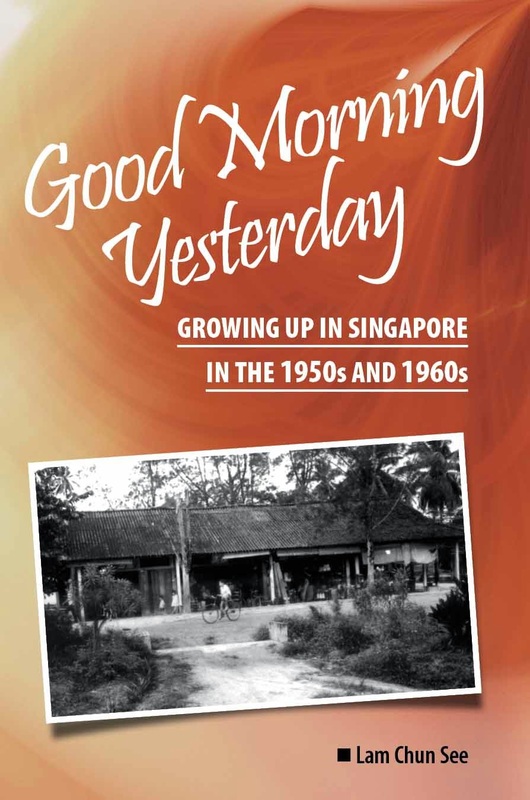 Apparently my essay about the days of black and white television in Singapore has won first prize in the Memories category! So guys … what are you waiting for? Go to Yesterday.sg and post your stories, or email them to me and I will put them up here at Good Morning Yesterday. His name is John Harper, and he came back, just as he said he would, with his lovely wife, Ann. 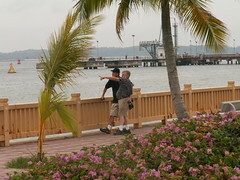 Together with two other ‘friends of Yesterday’, Victor and Peter, I brought John and Ann to see some of the places he wrote about, such as Changi/Lloyd Leas area where he first lived on arrival in Singapore, Changi Beach where he learned to swim, and Changi Board Walk area where he played. That was last Wednesday, 21 November. We had lunch at Changi Village. After lunch, we went to Gillman Village where John’s school, the Alexandra Grammar School was located. From there we proceeded to the place the British kids of his day loved, the Haw Par Villa, which thankfully had been restored to close to its original condition. The visit to Haw Par Villa was quite nostalgic for me too because I have not been there since I was a small kid. So it must be about half a century ago for me. On Friday, I met them again, this time alone. We spent the morning at the Bird Park and in the afternoon, I brought them to Tengah Air Base, where John had lived for some time too after his dad was transferred there from Changi Air Base. 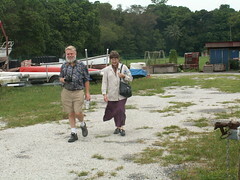 Although we could not enter the air base, still the surrounding area brought back some memories for John. It was really a joy for me to be able to share this time with my friends from the UK. I found it rather touching to see him struggling to remember some of the places that he used to love. Unfortunately, many of the places that John knew were either no long around, or have become restricted areas. 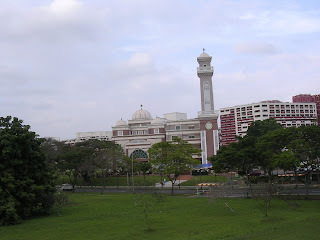 For example, many of the places in Changi where he played have either become part of the Changi Airport complex, or the prison and drug rehabilitation complex, or part of the new RSAF Changi Air Base. The Chua Chu Kang area has undergone even greater transformation. I tried to retrace the part of Chua Chu Kang Road that John would take on his way to school in Gillman from Tengah. Only a short stretch of the old CCK Road remained, and it was largely uninhabited. I managed to find a short stretch of this road next to where the former Keat Hong Camp was. This part is now known as Choa Chu Kang Avenue 1. Some other places that John remembered, and which I was able to show him were the part of the Malayan Railway crossing at Choa Chu Kang Road and the steel railway bridges along Bukit Timah, near Hillview Road and Rifle Range Road. As for Gillman, it had changed so much that he couldn’t be sure where his school was. And both of us could not be sure where the swimming pool was either. So to solve this and some of the other mysteries, I must wait for my other UK friends like Tom O’Brien, Brian Mitchell and Tom Brown to come visiting. Hope it won’t be long, because as we Singaporeans know only too well, places here have a way of disappearing overnight. So guys … what are you waiting for? Sorry, this may be a little late; but still not too late. 3: Visit the Explore Singapore! Heritage In Pictures webpage to register your blog post url. Athough it’s a bit late, there are still several events left till the closing date which is 31 December 2007. Here are some of the interesting events that you can attend. For your information, the first prize is a Nikon D40 kit! Like what the guy in the Courts advertisement said .. So what are you waiting for? Laokokok’s latest post about the compass and mathematical instruments box reminds me of a game we used to play in primary school. I cannot recall the name of the game. Basically, we make use of the dividers as a sort of dart to stick it to a board or the ground. Altogether there was a set of 6 or 7 moves, but I can only remember six. 1) The first one is easy. The dividers is placed on your palm. You have to toss it upwards so that it will do a 180 degree flip and hit on the ground with the sharp end. 2) The second is also easy. It is similar to the first except that the dividers is placed on the back of your hand. 4) The next one is tougher, and very hard to explain. You point the sharp end on the edge of your left palm (assuming you are right-handed) and with you right first finger, you flip it, again 180 degrees. 5) The next one is similar to no. 4 except that you point the sharp end on the finger. 6) The last one is simple. Just hold the dividers by the sharp end and throw it like a knife. You probably have difficulty following my description above and so I made a short movie. I used a letter opener in place of the dividers and used a polystyrene box as the base. Pardon the poor quality. It is taken on a digital camera and not a video camera. I think there may be one or two more moves which I cannot recall. If you can remember, please share with us. Safety reminder: Hey kids. Please don't try this game. It's actually quite lame compared to the modern toys you have nowadays. But just in case you want to try it, out of curiosity, please be extra careful. Especially when you come to the last move. Make sure nobody is in front of you; or nearby. Thanks. I will be speaking at the Silver Infocomm Day which is an event jointly organized by RSVP and IDA as part of the Active Ageing Festival. I will be talking about the basics of blogging, my experience in blogging and yesterday.sg. It will be similar to the one I did last year at Queenstown Library except that this time I will be talking less about my experience and more on how start blogging. Furthermore, this year, we will be giving some handout materials in response to requests from some participants in last year’s event. Included in the handouts is a copy of an article I wrote for the May/June issue of Prime, a magazine for ‘over 45s’. If you want to introduce blogging to your older friends and relatives, do encourage them to come down to listen to us. More details can be found at RSVP’s website. Went to the Army Museum today. After a long and hectic day as a recruit, I guess the only time you can have the luxury of some peace and quiet to think about home is when you lay down your weary body to sleep. During those few minutes before sleep arrives, you think about the new life in the army and contrast it with your life as a student. The feelings are strong and they stay in your mind for decades. I remember one particular evening. I was listening to the radio in the dark. My tiny transistor radio was held close to my ear, volume turned so low that only I could hear it. The song was Butterfly Lovers (梁山伯与祝英台) violin concerto. Even today, every time I hear that tune, I still think of that night three-and-a-half decades ago in Safti. I think this photo was taken at Chestnut Drive during my section leaders course's AG (anti-gurella) Warfare training. In case you cannot recognize me, I am squatting in front, left. As a follow-up to James’ article about the Great World Amusement Park, I will now blog about the New World Amusement Park that I used to go to as a kid. 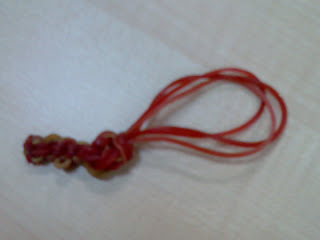 In Cantonese, it was known as San Sai Kai (新世界). I vaguely remember that we had a grand-uncle (my father’s uncle) who worked as a gate-keeper at New World. So occasionally when he was on duty, he’d let us in without buying an entrance ticket. He lived in an old and dimly-lit apartment at the rear of New World. He was often on duty at the rear entrance which meant that we could not have free entry because the main entrance was at Kitchener Road. But before I proceed, maybe I should give you some background history about this place. “In 1923, Ong Boon Tat and Ong Peng Hock set up New World Park, the first of the three amusement parks that coloured Singapore's night life from the 1920s to the 1960s. 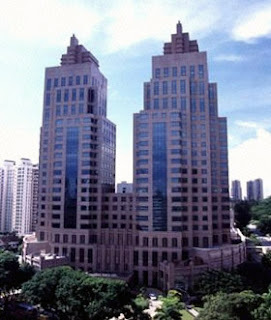 New World was located at Jalan Besar, bounded by Serangoon Road, Kitchener Road and Whampoa River. The park was sold to Shaw Brothers which acquired a 50-percent interest. 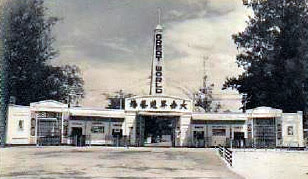 During the Japanese Occupation, New World was renamed Shin Segal and turned into a gambling farm opened only to civilians but not Japanese soldiers. For more information, please go to Singapore Infopedia. By the way, according to this website, Rose Chan and King Kong performed at New World. 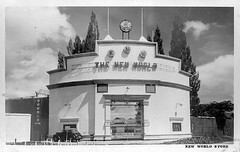 Like Great World, New World had the usual attractions like cinemas, ghost train, merry-go-rounds, shooting galleries, bumper cars, restaurants and food and clothing stalls. I will just share with you about a few of the things that held the strongest memory for me. The ghost train at NW is similar to what James had described earlier. The train would be moving in the dark, and then come to a sudden stop and a ghoulish demon would light up in front of you, accompanied by evil laughter; and then the train would make a sharp turn and move on. I recall that the ‘demons’ were really quite amateurishly made. I could clearly see the coconut and husk used for its head. I also remember seeing the lighted Exit sign in the dark. It wasn’t scary at all but still the girls screamed. I can think of two cinemas; Grand and State. Grand (大光) screened mainly Chinese movies whilst State had more English movies. Actually State was located outside the amusement park near the entrance, I think. At Grand, I remember watching the very famous tear-jerker Love Without End (不了情) with my siblings. This movie was more well-known for its theme song than the story. The theme song was sung by Carrie Koo Mei whose brother is the prolific song writer Joseph Koo who composed many famous Hong Kong TV drama tunes. My sister was a great fan of hers. (不了情) was a unique song: very difficult to sing. Over the years, many singers have recorded their versions of it, but none come close to the original. You can listen to it here. At State, I think I saw the first Clint Eastwood cowboy movie For A Few Dollars More. Early in his career, Clint Eastwood starred in several of such ‘spaghetti westerns’. The other thing I remember fondly is the punching bags (actually this is probably the wrong term). You had this small bag that hangs at about face level. You gave your hardest punch to let it hit against a screen which had a vertical scale with a needle to record the force of your punch. If your punch was hard enough, a bell would go off. I remember having a go at it with my cousin Meng from JB and my brother David. Meng was an accomplished badminton player and very strong. My brother David was into Tae Kwon Do. (Actually he was into many martial arts; Karate, Tai Chi, Pai Mei, whichever was the fancy of the day. Eh what do they say? A Jack of all trades but ……) Anyway, these two guys got a big kick from the ringing of the bell. As for me; can I just say that I cannot remember the result? As I think back, those games and attractions that we so thoroughly enjoyed in the old days were really no match of what our kids have these days at places like Genting Highlands and Disneyland. I guess kids of any era simply know how to have fun with whatever life serves up to them, and it doesn’t take much for them to have a good time. Remember those ice balls that we so relished? They are nothing but ice and sugar; but still every adult of my generation seem to recall them with fondness. OK. Now that you have read about two of the three ‘worlds’ of the old Singapore, I hope someone can contribute an article about the Happy World Amusement Park at Gayland … oops; I mean Geylang Road. Kids of my generation who grew up in the 1950’s and 60’s Singapore will certainly know about the ‘Three Worlds’. They are Gay World in Geylang Road, New World at Serangoon/Kitchener Road and Great World at Kim Seng Road. These three amusement parks held great memories for us. I am more familiar with New World but not the other two. 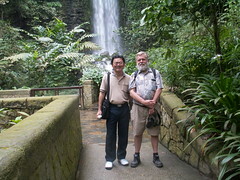 But fortunately, my friend James Seah has some fond memories of Great World which he shares with us below. Looking at these two pictures, few people would have believed that the Great World City sits at the exact same spot where the Great World Amusement Park was once located 50 years ago, along Kim Seng Road, Singapore. It is a total physical and visual transformation; a phenomenon of reconstruction which has been sweeping over Singapore for the past three decades or so. The landscape of modern Singapore is ever-changing, ever-evolving - a visual yardstick of economic progress in all the big cities of the world. Great World holds fond memories for me as a young street urchin of Bukit Ho Swee some fifty years ago. As an 11-year-old who grew up in Havelock Road in the 1950s, I was then attending Delta Primary School. Great World could be seen from the top of the “crooked bridge” (“Khiow Ku Keo” in Hokkien) behind the school. The “crooked bridge” was actually formed by the bent arch of the huge water pipeline running from the Johor causeway. My first visit to Great World was with my mother during the December school holidays when I was in Primary 5. The amusement park was very crowded during the “Trade Fair”, an event which is usually held to coincide with the mid-year and end-year school holidays. Whenever a Trade Fair was held, a ray of white light will be beamed from Great World into the night sky and could be seen from miles away. New “Made-in-Singapore” products were launched at the Trade Fair; with special offer and free gifts. I vividly remembered an Indian sales promoter who delivers his sales pitch and wisecracks over the loud-hailer in fluent Hokkien. Another gimmick which attracted the crowd at the exhibition stalls was when the advertising products were thrown into the air and everyone tried to grab for these free stuff. There were 4 cinemas in Great World – Sky, Globe, Atlantic and Canton, all owned by the Shaw cinema magnates. Sky (see photo - right) and Globe screened films in English while the shows in Atlantic (see photo - middle) and Canton (see photo - bottom) were usually in Mandarin or Cantonese. There were times when Atlantic would screen 2 “third-run” Chinese films for the price of 50 cents during day shows. I have watched most of the “kungfu” films during these matinee shows. “Third-run” means that these films have been screened in the major cinemas in town as new or “first-run” films several months earlier at “first-run” ticket price of $2.50 each. Movie-watching was my favorite pastime during my childhood days in Bukit Ho Swee. I would save my daily pocket money of 10 or 20 cents for these occasional treats. I spend money only on the show tickets; no tidbits, drinks or bus-fare as Great World was within walking distance from my home in Havelock Road. The amusing stuff of Great World as an amusement park are the kiddie joy rides (outdated compared to the funland machines today). The “ghost trains” was most popular. (It was not scary at all because the ghost effigies were made of papier-mache and attendants were walking around the “ghost town” to push the carts which are jammed in the rail). The ride will only frighten those who kept their eyes closed; not those who dare to open their eyes throughout the ride and found it fun and amusing. There were also the carousel, merry-go-round aeroplanes, mini roller-coaster, and motor-engine operated joy rides with simple, unsophisticated designs and features. The rides were usually priced at 20 or 30 cents each. I will always remember my first toy race-car ride at Great World one night when I was 12. I bent my mouth so close to the steering wheel of the race-car that when there was a collision with another car, my front teeth was hit. The gap between the top row of my middle teeth was chipped (a dentist will be able to describe it in less words) and it gradually decay and that was how I lose my teeth one night in Great World. It taught me something about safe driving. I will also be skipping Formula 1 in Singapore next year because of this one bad experience as a childhood racer. Ever since I started blogging about the good old days, I have taken an interest in old buildings in Singapore. Whenever, I see an old building, I want to take a photo of it for fear that it would be torn down when I am not looking; such as my beloved National Junior College. Or worse still; the government may decide to preserve it – i.e. they will retrofit it beyond recognition, the way new pop groups ‘remake’ some of our favourite oldies. OK, I exaggerate, but you get my point. I am not referring to the well-known buildings like the CHIJMES, or the Fullerton Building which have been gazetted as national monuments. I am referring to the unimportant buildings such as the former Driving Test Centre at Queenstown, Braddell Rise School and Matter East School. So whenever the opportunity arises, I would take some photos of these buildings. I would like to share some my collection with you. But to make it more interesting, I will make it into a quiz. Here’s the first one. I have chosen this building because it is related to an interest article in the Straits Times today about the Jewish community in Singapore and their new building in town. Please tell me the name of this building nd where it is located. I suspect many of you have seen this building but never noticed it's name. Last Sunday, we had some special visitors. Mr Rob Cantley, CEO of Borneo Exotics, his wife Diana and a few local pitcher plant enthusiasts came to see my son’s collection of pitcher plants. I think Rob was in Singapore for some meeting with Nparks about next year’s Singapore Garden Festival, and he took the opportunity to visit the homes of some of the local enthusiasts and give some consultation. 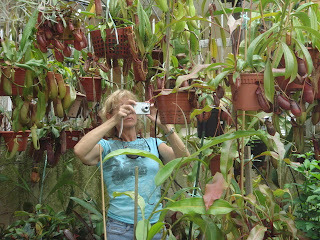 My son is crazy about pitcher plants - thanks partly to my friend Dr Tan Wee Kiat’s children books on the subject. Wee Kiat even took the trouble to bring him to some of the little-known places in Singapore where pitcher plants can be found in the wild. 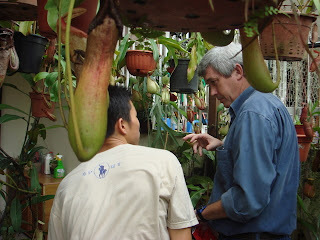 My son and his buddies at Green Cultures Singapore the regularly chat about pitcher plants online. Sometimes, they jointly purchase plants from overseas suppliers such as Borneo Exotics. Occasionally, we have strangers dropping by to exchange or buy plants. I am quite surprised that there so many young Singaporeans who are passionate about this carnivorous plant. I understand that many of them live in high-rise apartments. I heard that some even rent space in local nurseries to keep their prized collections. I am quite happy that my son is so passionate about his pitcher plants. For one thing, between this hobby and his kayaking training, he has very little time left for playing computer games like most teenagers do. I often hear friends complaining about how their kids are hooked on computer games. I think my kids have never even touched an Xbox or Playstation before. I also think it helps to develop his social skills, something his parents seem to lack. One small price we had to pay is that, with his hundreds of pots of pitcher plants and my wife’s stag horn ferns and other plants, our house looks like a jungle. In fact, when my car is parked in porch, there is hardly room for one person to walk into our house. We even have a huge wooden frame tailor-built in front of our house for hanging pots and climbers. Anyway, back to the visit. I am afraid I don’t know enough about the topic to share with you; although thanks to Wee Kiat’s book, Jack and the Carnivorous Pitcher Plant, I am no longer intimidated by names like Nepenthes, Rafflesiana and Ampullaria. I even know the difference between and upper and lower pitcher! All I can do is show you some photos. By the way, I think Rob and Diana will be giving a talk about growing pitcher plants in an urban environment at GardenTech2007 next month. You may be able to see some photos of our home at that presentation. Another quiz for you guys. What is the name of this carnivorous plant? It’s my favourite. I think it’s much prettier than the pitcher plant. This morning I saw a review on Channel News Asia by Melanie Oliveiro of the new movie, The Eleventh Hour. It reminded me of a wonderful movie with a similar name which I saw many years ago. That movie was The 25th Hour. The story is about the tragic events that happened to a simple Romanian peasant, Johann Moritz during World War II. Moritz’s misfortune began because he was blessed with a beautiful wife. A local captain who coveted his wife reported him to the authorities as a Jew. He was sent to a work camp but was subsequently "rescued" by a Nazi officer who thought that he was a perfect Aryan specimen. He was forced to serve as a model for the German propaganda. After the war, he was imprisoned and severely beaten by his Russian captors. As a final irony, he was charged with war crimes by the Allied forces for his role in assisting the Nazis, while all along he has been nothing but a victim. If my memory serves me, I think the story ends when Moritz returns to his villge to find he has become the father of a boy who was the result of his wife being raped by a German soldier. Hope somebody will read the book and confirm if I remembered correctly. ++ Chew of this interesting line from the book: “God made so many things of no practical value, and yet they are the most beautiful of all”. ++ Melanie Oliveiro said this of the movie The 11th Hour; “You have a moral obligation to watch it”. Now that I qualify to watch movies at a discount (half price?) during week days, I think I will fulfill my moral obligation next week. 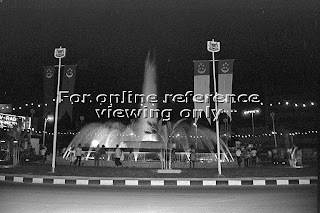 The photo below is of another roundabout in Singapore which had a fountain in it? Do you know where that was (assuming you have not read my earlier post)? 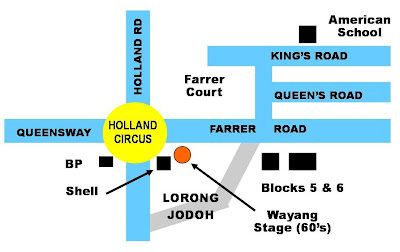 Yes, it was Holland Circus and it was located at the Junction of Holland Road, Farrer Road and Queensway. Today, this area looks very different. Holland Circus has been replaced by an underpass and flyover. And many new changes are taking place at Farrer Road. A great deal of construction work is going on to build the Circle Line and a new MRT station. And Farrer Court will probably be demolished soon. Would you like to know what this area was like in the 1960’s and 70’s? I happen to be quite familiar with this area because I stayed in Farrer Road for 14 years up to 1986. After our home at Lorong Chuan was acquired by the government under the Land Acquisition Act, we moved to an HDB apartment here in 1974. At that time, we heard that the HDB (Housing and Development Board) was introducing a new type of flat called a Five-room point block flat. (Non-Singaporean readers would be surprised to know that by a uniquely Singaporean method of numbering, there are actually only 3 bedrooms in our five-room flats) The first ones were being built at Bendemeer Road. The price was about $28,000. We applied but were unsuccessful. The second batch was being built at Farrer Road and we succeeded this time, but the price has gone up by a whopping 25% to $35,500. In case you think that was ‘peanuts’, I would like to put things in perspective. The compensation that we got from the government for our home in Lorong Kinchir - including the land, house, fruit trees .. everything - was only slightly more than $7,000. I seem to recall that there was some kind of balloting process. I am not sure if we got some priority because we were being evicted from our kampong. Took this photo when I went for lunch with my siblings at Farrer Road last week. There’s a famous Westlake Restaurant which used to be very popular. We went to the nearby Chu Kee Cuisine instead. I liked living in Farrer Road. But we were rather sad to have to leave our beloved dog Barney behind in the care of our cousins. They didn't move out until a few years later. Each time we went back to our kampong, he would be literally jump with joy to see us. But our cat Mimi was more fortunate as we were able to bring her along. We lived in Block 5. Our unit was away from the main road. Very quiet and nice. Unlike the other HDB estates, there were a total of only eight blocks here, including the market and food centre. This area was quite exclusive, being in the prestigious District 10 area. All the other houses here were private homes. Not long after, they built the Farrer Court under the HUDC model. Over the last twenty years, a lot of changes had taken place. Let’s see what I can recall. Lorong Jodoh - I don’t think I even want to test you readers if you knew where was Lorong Jodoh. I bet none of you know the answer. Lorong Jodoh was a small Malay kampong just beside our flat at Block 5. I recall hearing some animal sounds (probably an orang utan) coming from the kampong in the mornings. It joined Farrer Road to Holland Road. I have jogged through this kampong a few times. I cannot recall when it was redeveloped. Petrol stations - Next to Holland Circus, there used to be two petrol stations. One was Shell and the other BP. Next to the BP station was the BP recreation club. My brother-in-law worked for BP at that time and occasionally he brought us there to enjoy the facilities like table tennis, badminton and billiards. American School – Along King’s Road, there used to be an American School. 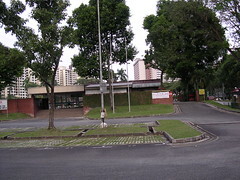 We often saw groups of American students waiting for taxis along Farrer Road opposite our flat. We told ourselves, these American kids must be quite loaded since they didn’t need to travel by buses. One interesting thing about the American School that I remember was the evenings when they had football matches – that’s American football, not soccer. The field was brightly lit up with floodlights and a lot of cheering and so on could be heard; like what you see in the movies. Other changes at the stretch of Farrer Road near to the Adam Flyover, I have already blogged about earlier; like the post office and so on. So I would like to end by telling you a bit about Farrer Road in the fifties and sixties. I don’t know much actually, but I have visited my cousins who stayed in Farrer Road in those days. 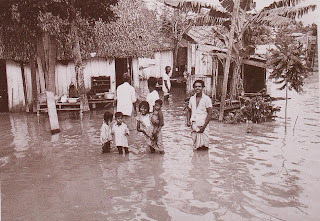 They lived in a kampong at what is probably the Queen’s Road area. I remember plucking the buah long long from a tree in front of their house. I also remember crossing the road to where the present Waterfall Gardens is to watch a Hokkien wayang show. Other than that I don’t recall much about those days. Finally, before I go, I have another quiz question for you. You have probably heard that the apartments at Farrer Court were recently sold at the unbelievable price of $2.5 million. Do you know how much it cost when it was first sold? 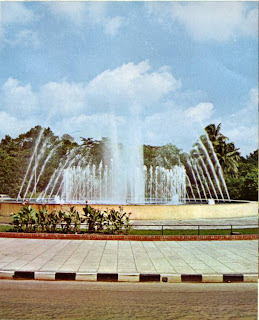 What was the name of the roundabout located at the junction of Tanglin Road, Napier Road and Grange Road? It had a beautiful fountain in the centre and pineapple shrubs planted around it. 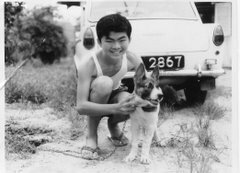 See photos below from the collection of the National Archives of Singapore. 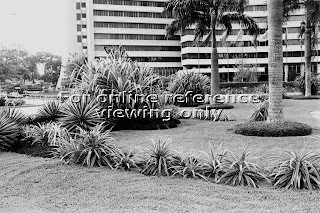 What was the name of hotel next to it? Below are some hints courtesy of Peter Chan. 1. This hotel was built by Khoo Teck Puat and named after a country. 2. 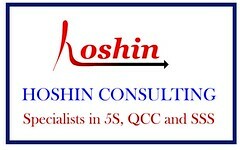 Then it was sold to a HK consortium and acquired a new name. 3. It had a basement disco and the interiors were plastered with red bricks. The first name of the disco was called THE PUB but later became known as THE LONDON SCENE. 4. The first band to perform every night was Heather and the Thunderbirds. My band, THE REFLECTIONS played there in 1972. We played as the second band.